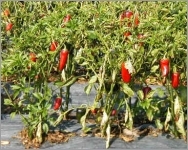 Capsicum jalapeno, Capsicum annum is a popular short lived perennial to 90 cm, producing red chillies to 10 cm long. It is a Mexican variety used for hot pepper eating contests in the USA. This species is widely grown throughout the world, but especially in warm temperate to tropical climates. It is in leaf all year, in flower from July to September. 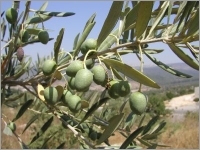 The green sausage-shaped fruits are 3 inches or so long, turning bright red when ripe. 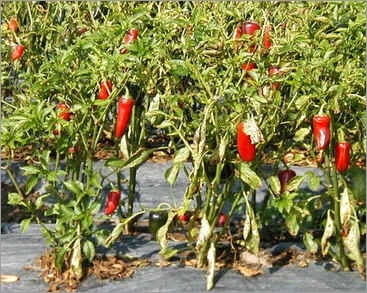 Plants are prolific, and will produce peppers until frost. Hot Pepper 2.5K-5K (Scoville Units), 100 times less than Habanerno. Use fresh or dried. Ideal for spicy cooked foods, sauces, for salsa and salads.